The newly disoccluded samples in an animation (5.) are faaar less noticeable than the ones in (4. ), because of the spatial filtering (edge-avoiding à-trous filter), which in my implementation also takes into account the lifetime of a sample (samples that live longer will be filtered less than newly disoccluded samples to avoid unnecessarily smearing/blurring samples with low variance). Next: Add Nuklear UI to tweak parameters without having to recompile and restart the application and losing previous viewpoints (as is visible in the images - the difference in specular reflection at the top right is not due to filtering but because of different viewpoints causing different Fresnel factors). I am looking for a game that was posted here some years ago (at least one). I think it was top down and had pixel-art. The game involved a lot of reading and featured many books. It plays in your deceased father's house (he was a writer I think) and you had to find some secrets by reading and combining a lot. I haven't played it much though, so I don't know if the place changes, but the main part played only in a few rooms with many bookshelves and your father's desk. P.S. I did search the featured, showcase, and WIP section plus searching for "book/s" with the search function before posting. No hate please. Don't dream big, dream realistic. @KaiHH Very nice!!! What primitives exactly are you tracing in your implementation? Thanks! All primitives are AABBs. 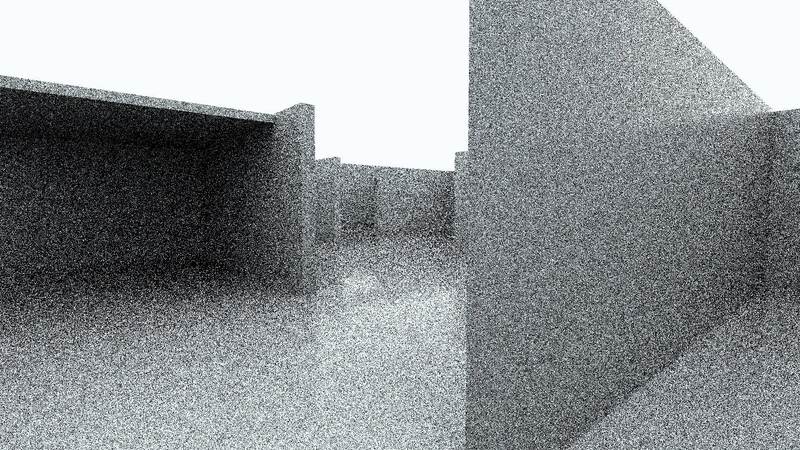 I used Blender to model and preview the scene (all primitives are boxes there, too) and exported as Wavefront OBJ. 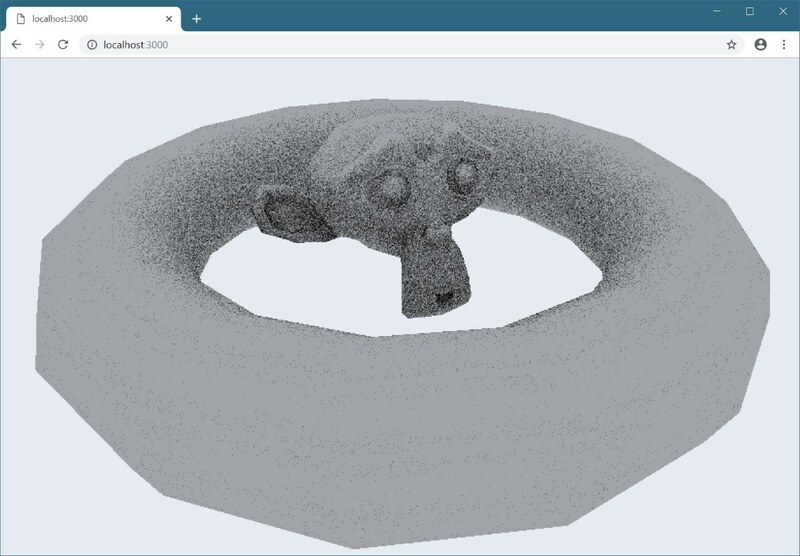 Fortunately, Blender's OBJ exporter has the option to declare each mesh/object as a separate 'o' object and Assimp uses those 'o' declarations to mark individual meshes, so I simply used Assimp to load the OBJ file with all separate meshes/objects, computed each individual min,max coordinates and voilà, those were my AABBs for the raytracer (and also the rasterizer - it's a hybrid implementation). Very nice, do you plan to expand your tracer to trace against triangles with acceleration structures? Sure, I plan to release the code to the LWJGL/lwjgl3-demos repository as with all other tutorials/demos there. As for acceleration structures, not for this demo. For this, I wanted to keep everything as reasonably simple, accessible (current implementation is GL 3.3) as possible, concentrating on the filtering aspect, while still being somewhat interesting and extensible (custom scenes). And without a current acceleration structure the implementation is still real-time on 4K. 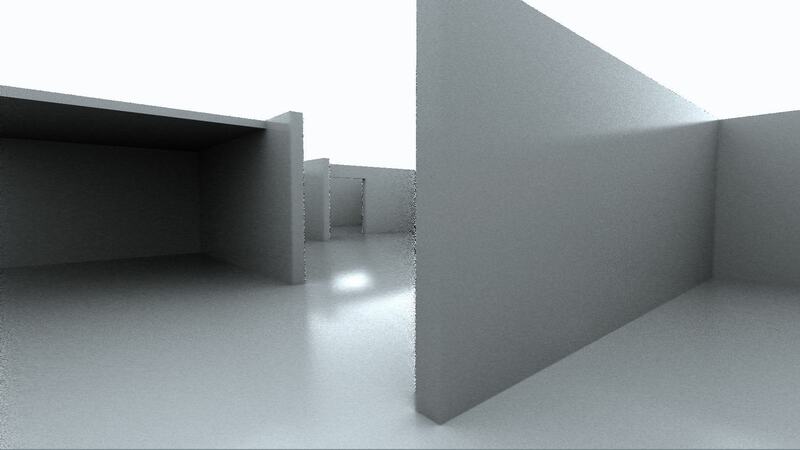 But I definitely want to explore BVH/LBVH building on the GPU and maybe switching to triangle meshes in later demos. Check it out. An animation DSL! Sorry, Cas. Of course, your system may already handle that, but I just wanted to write this feedback just in case. Having constants for important aspects of any engine is pretty important, in my opinion. There's also a more complex version of this where you can use the timestep to determine how long something should take, but the above easier to remember and more verbose in my opinion. I do have a constant in the main class that defines the UPS. I don't plan on changing that, because any lower would mean the game would look choppy and any higher would be too performance intensive. I really appreciate the suggestion though, and that would certainly be the best solution if I were less confident the UPS wasn't going to be changed. A little while back I decided to take a break from not working on the itch.io site for selling "Tone Circle Drone" and do some coding instead. I managed to make a new synth choice for the theremin: using vocal formants generated by FM. It's a little tricky to say the least, and using a filter-based approach would have made a lot more sense, but I thought I'd try coding it anyway and see what happened. 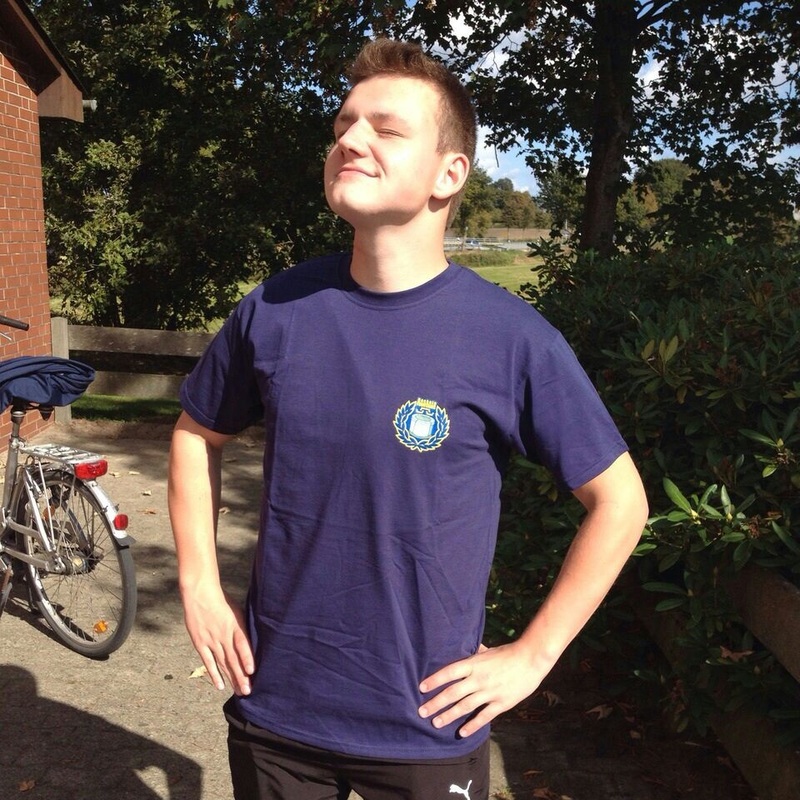 Short version: the basic concept works! I can make smooth transitions between ooo to aaah to eee. If I have a chance, I'll make a quick OBS video. It is pretty hilarious sounding. But it could also probably use some fine tuning--I might wait until I get a chance to experiment with some of the parameters. Yes, it does look kinda crappy. Stuff used: WebGL 2.0, Webpack (+ integration with HMR to live-reload shaders without reloading the whole app/site such as with LiveReload), Typescript, gl-matrix, webgl-obj-loader. It's a pretty cool application of our game engine outside of making actual games. It's a shame it didn't actually pan out for the people who requested it. @SkyAphid amazing! Is it some kind of holographic effect? Or clever placement of leds? The sides of the cuboid can just be thought of as separate monitors and then when knowing the position of the viewer, you calculate appropriate perspective projections and view transformations for each monitor. This is also what people do with CAVE systems. Yep, we used JOML to do the heavy lifting on the math. Thanks Kai! Hi - Thought I'd show the vowels that are now working on the digital theremin. I'm using FM, not filters. Filters would probably make a lot more sense, but FM is the technology that I know best. I think it was Alan Benson who mentioned the possibility of using a sort of inverted arrangement, where the carrier is a high harmonic and the modulator is the root pitch. 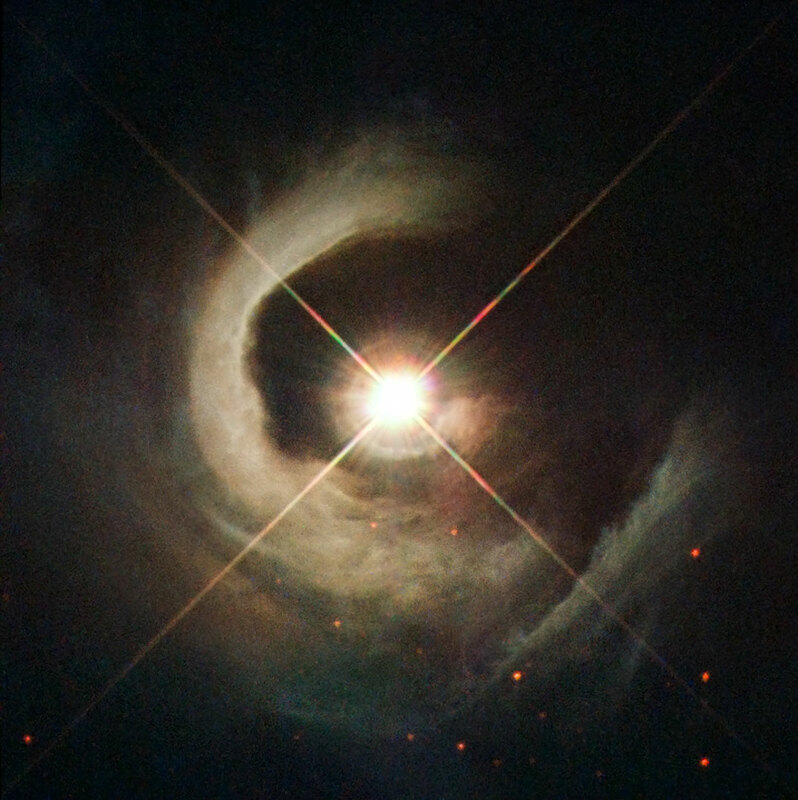 The tricky part, then, becomes, picking the harmonic to the root that is closest to the desired formant pitch. I did this by "bracketing" the formant with the nearest two harmonics, and adjusting their volumes based on how near or distant they were to the desired formant pitch. It seems to work pretty well, and could probably be improved upon. I am just learning to use OBS, and didn't want lack of confidence or skill with video presenting or the OBS software to prevent me from posting. So, don't expect a slick video! Above is a link to the .mp4 file. 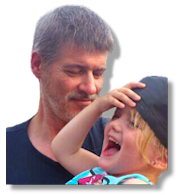 @philfrei This is pretty cool stuff, Phil! Would very much like to try this out (I'm an avid fan of Tangerine Dream and the likes, so fiddling with a synth app (as I see it) is always fun). It would also be great if you could make another version for touchscreen, where you have something like different coloured clouds of particles against a black background, that expand/change when you touch them and produce different sounds. Well, that's just an idea. Got any ideas for a game? Ah yes I understand exactly what you're saying. Perfectly. Really nice videos, thanks for sharing. Can your storage method or world-building formula cope with 4 dimensions? Would be really cool to add time as the fourth dimension and see the big lumps move about. They reminded me of blood cells. I've always wanted to set up something where one could navigate through a noise-generated space like that. Was playing with a very naïve version using JavaFX 3D the other day, a lattice of spheres whose size depended upon the OpenSimplex value. Did nothing (as I know nothing) special, just plunked the spheres into place. It was glacially slow. Is this BVH the same format used for motion capture devices? 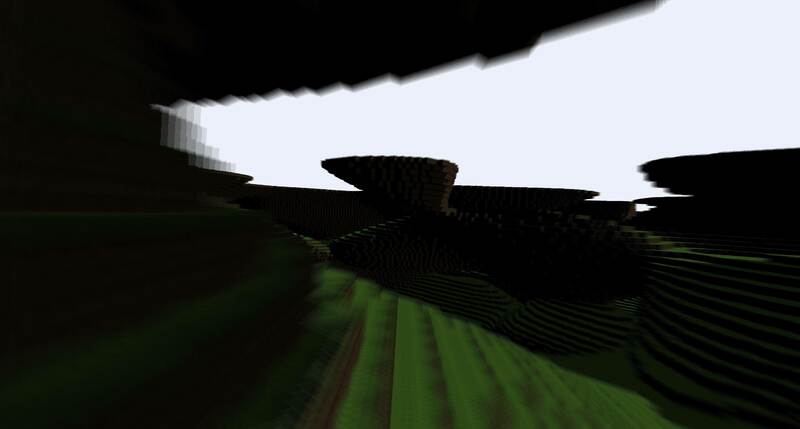 I wonder if you have enough granularity to get some nice structures by adding octaves (a la fractals), or maybe get crevices by using Perlin's "turbulent" form. I have a hard time imagining that there would be enough computing power to change these over time, as CommanderKeith asks. Would be cool if it were possible. But it would probably require a couple orders of magnitude more computations? This should work with OpenSimplex, too, if there's any worries about lawsuits over unlicensed 3D use of Simplex Noise. 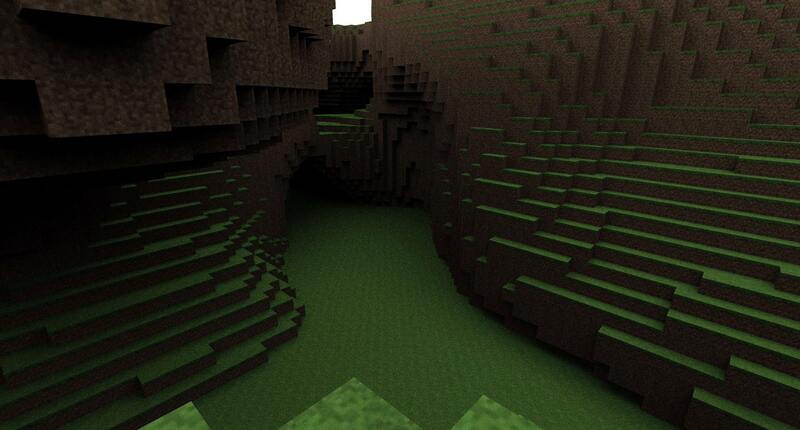 It means that we can have path-traced minecrafty worlds. Can your storage method or world-building formula cope with 4 dimensions? Would be really cool to add time as the fourth dimension and see the big lumps move about. They reminded me of blood cells. Currently, the noise evaluation and BVH building is done on the CPU. The most expensive part is the noise evaluation, even though I am currently only using one octave and it is already multi-threaded (I probably should not be using ByteBuffer.putFloat()...). But building the BVH is simple and blazingly fast. And using z-order curve partitioning even makes it parallelizable to run on the the GPU, which was my motivation in the first place (but first getting a working CPU implementation). 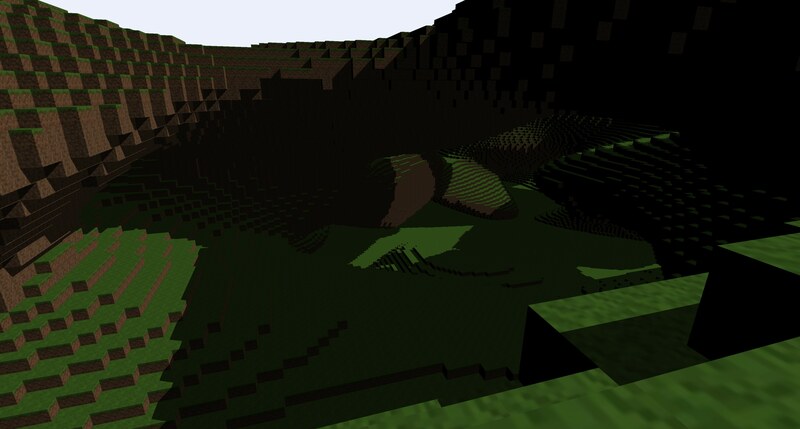 Next is to port that to compute shaders to sort the voxels and build the BVH bottom-up. In this case, you would likely use transform feedback to evaluate animation like usual with vertex weights, write them out to a buffer object and use that data to build a BVH. It is BVH as in "Bounding Volume Hierarchy" and not as in Biovisions BVH file format. So the Bounding Volume Hierarchy is a tree data structure (and in my case a binary tree - meaning each internal node has exactly two children) used to spatially index the scene geometry, so that each ray need not compute intersections with all the millions of cubes in the scene. 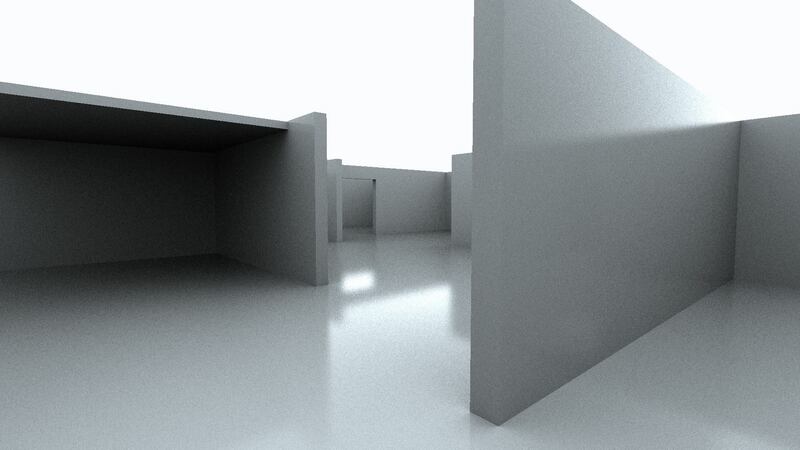 Instead many cubes can quickly be culled when the ray does not intersect some bounding box encompassing the cubes. The granularity is currently one cube. Of course one could scale them down and simply use more cubes. Btw. I've experimented with rendering 41 million cubes at under 1ms. per frame using what is known in rasterization as "checkerboard rendering". 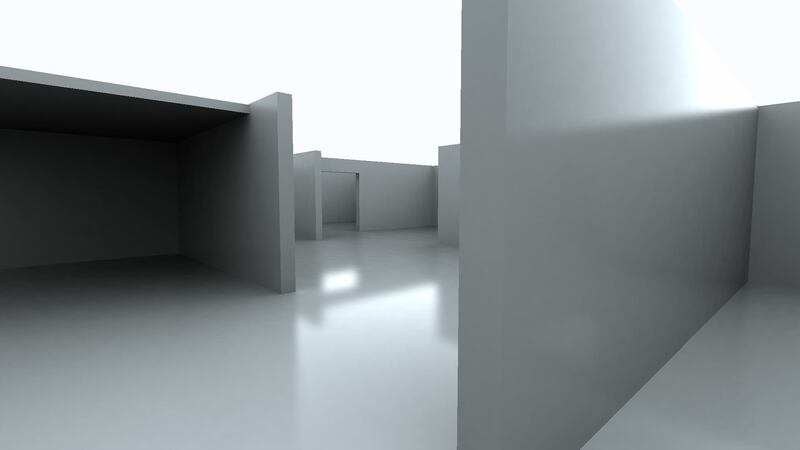 With ray tracing and compute shaders we can achieve the same thing by not compute each pixel every frame but one pixel within a 2x2 or 3x3 or 4x4 group. Since we can do scattered writes in a compute shader (which is impossible to do in a fragment shader on the framebuffer, so people generate fragments with clever layouting of triangles), we do not need to downscale the framebuffer but rather "stretch" the distribution of the rays using a fixed stride and a varying offset per frame. This way, we can issue less work items in a compute shader call and have zero thread divergence (no if (pixel-should-be-rendered) ... else abort). In the last one the camera moves forward quickly and with the alternating pixel sampling pattern it looks like motion blur in animation. Frametimes in 4K resolution are about 2-3 milliseconds. Next will be picking to remove and add blocks. I was thinking about how to do that without building the whole BVH tree anew. The idea is that all voxels that were generated initially with the noise evaluation are linearly in a big SSBO (plus the BVH SSBO for traversal). Then in the Java program, we also keep the BVH structure and the voxels list around. 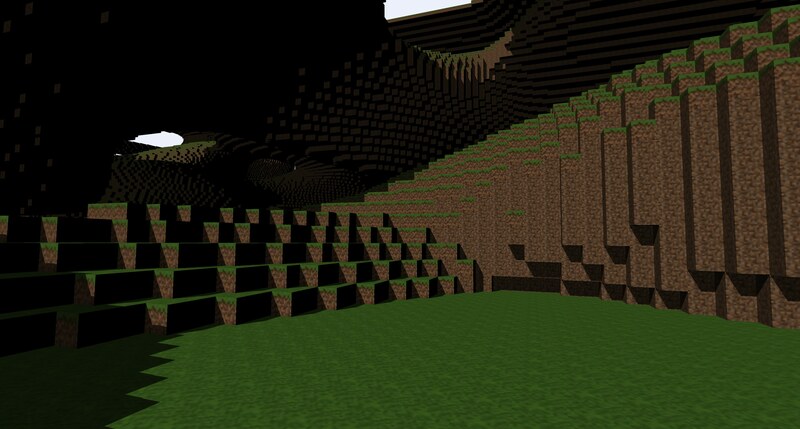 When picking with the mouse we cast a ray in Java through the BVH and detect the hit voxel. 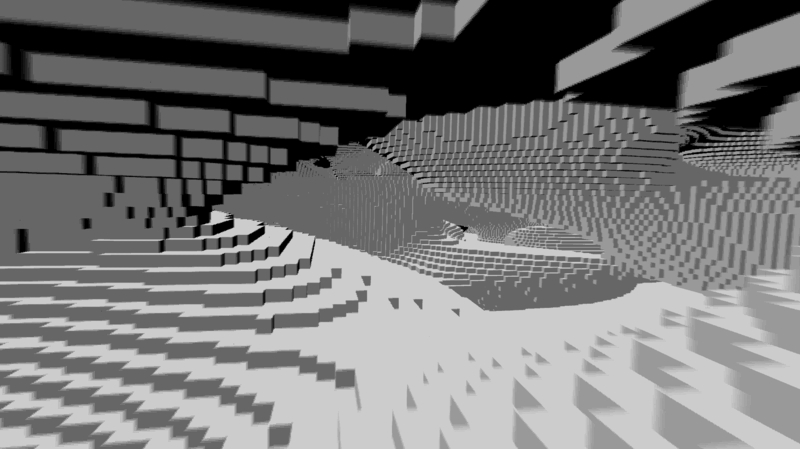 This voxel was assigned a position/index into the SSBO originally when sent to the shader. We now only need to use a bitflag as part of a voxel data in the SSBO to "disable" that voxel. So everytime the user destroys a voxel, after the voxel has been identified we issue a 1 byte glBufferSubData() at the correct offset into the voxels SSBO and boom, the voxel is gone. Now, adding voxels is a bit more difficult. Here, my initial idea is to actually have two BVHs and voxels lists. 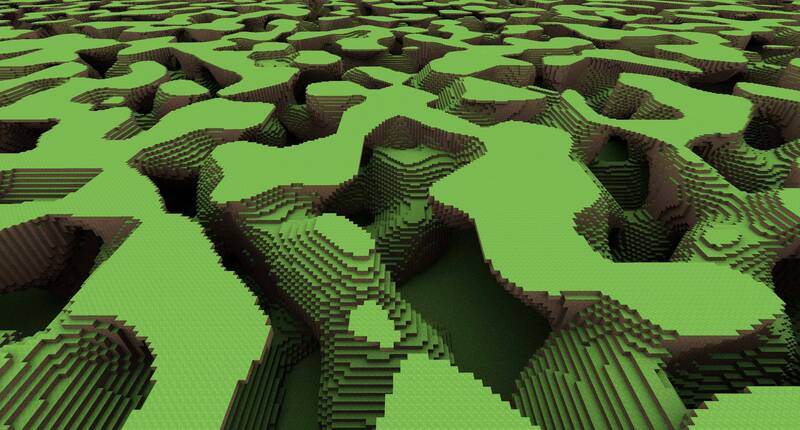 The first is for the initial voxels added through noise evaluation. The second is for all the additions the user makes to the world. This means, that in the shader, we need to trace two BVHs. The second BVH structure is always rebuilt whenever the user adds a new voxel. This is no big deal, since the performance is really good up to about hundred thousand voxels. Then, when fragmentation grows (more and more original voxels deleted and more and more user-added voxels) the two structures need to be rejoined at some point to result in an optimal BVH tree again. 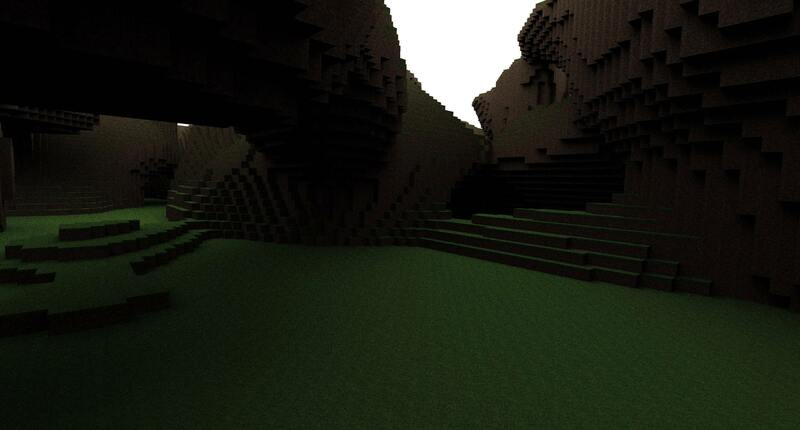 But that can be very very later in the process after thousands and thousands of voxels have been added and removed. EDIT2: I just recently switched from Fraps (which I used occasionally to record videos earlier) to OBS Studio (totally free), and... boy... Fraps is just soooo insanely slow compared to OBS. With OBS even recording in 4K at 60Hz is absolutely no problem. That's probably why the Twitch streamers use it, but it can of course also stream to a file. How could you apologize!!!! Your work is amazing and I think it's not only me enjoying all your posts here! Please keep em coming! Very interesting idea to use voxel cone tracing. The acceleration structure is already there to hold the lighting and occlusion information and propagate it up. 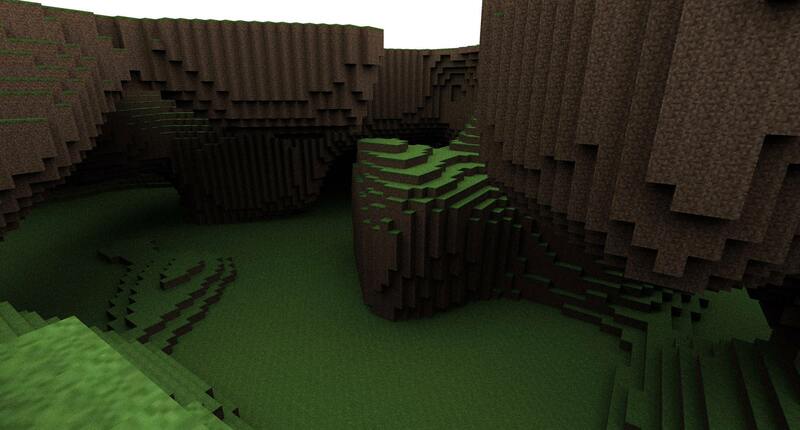 And the scene is already voxelized (since, yeah, they *are* voxels) . Correct propagation and cone traversal could be challenging though due to the non-uniformity of the bounding volume hierarchy (splits at arbitrary positions in each dimension). An octree is definitely nicer in that regard. Or just using a 3D texture would also be an option. What I definitely like about VCT is the lack of noise as opposed to any Monte Carlo light transport solutions such as Path Tracing. Currently I am determined to use MC solutions alone. Let's see how far this can go, given that we have a nice discretized scene where storing all sorts of information at voxel or BVH node level is possible, such as "most likely" direction of a nearest light source for next-event estimation or storing portals (when people dig caves with a small entry where light comes through). Or just using the voxels for irradiance caching, so accumulating samples on a voxel (instead of screen space with sample reprojection) over time. Definitely lots of possibilities there. Ah, yes, I didn't think about the non-uniformity, of course this is a problem. 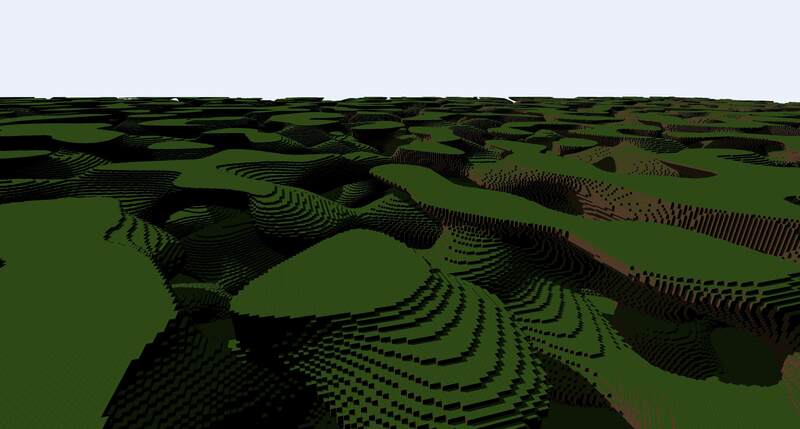 Irradiance caching would be also very interesting of course - but another idea: What about adding a large uniform grid , that saves per cell n voxel indices that point directly into your bvh. 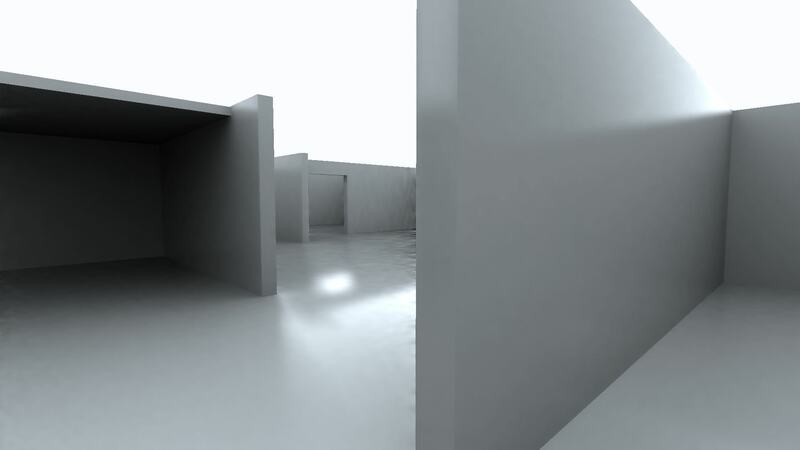 Based on them, one could precompute environment lighting for unpopulated cells in order to be able to light dynamic objects that aren't voxelized, similar to how precomputed radiance transfer volumes do it, but without precomputation of the lighting, but only the visibility. Advantage of precomputed visibility only is, that materials/color of the voxels can change and nothing has to be recalculated Also, the precomputation is valid until the bvh changes, and then it could be precomputed as well. Not sure about the sample count/need for screen space filtering afterwards with low sample count. EDIT: We have light leaking again then, that's for sure. 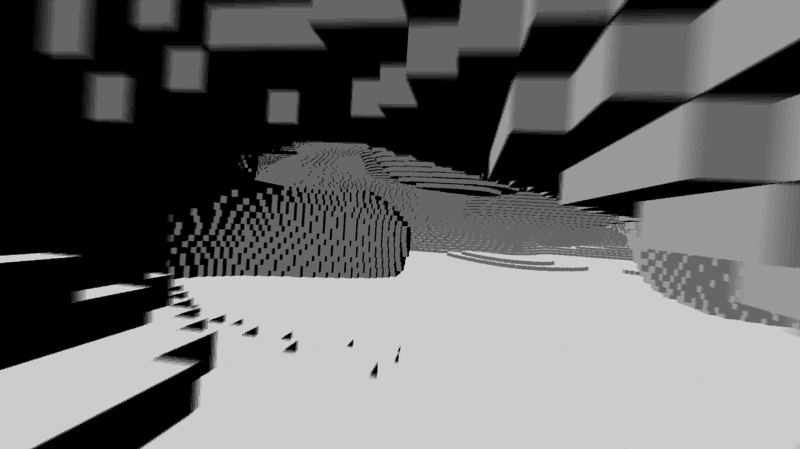 Added a second bounce for nice soft shadows, and sample reprojection (also called temporal filtering) to reduce noise.